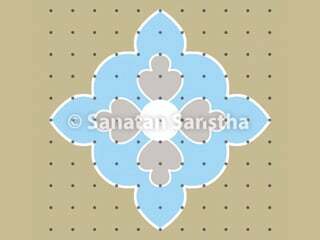 Implied meaning: Since Datta performs the function of the Guru principle His mission continues till all attain the Final Liberation (Moksha). 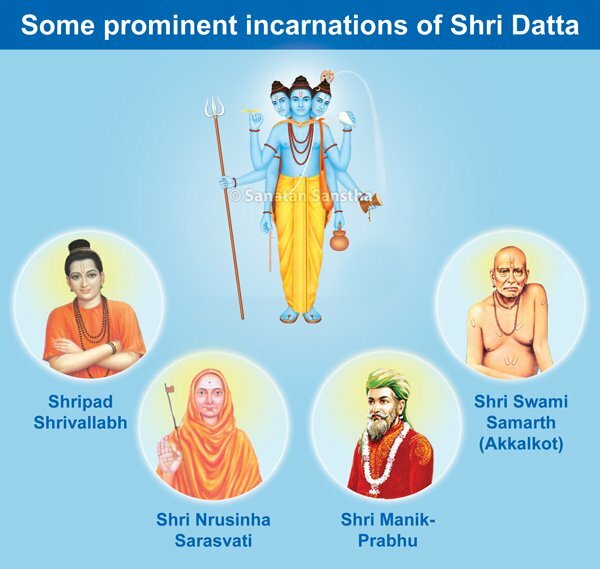 In all, Shri Datta assumed sixteen main incarnations. 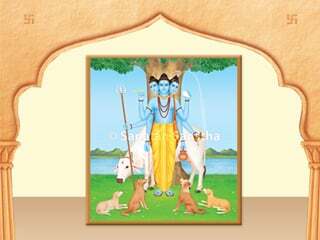 The book ‘Shri Dattatreya Shodashavataraha’ by H.H. Vasudevanand Sarasvati narrates the stories of these incarnations. 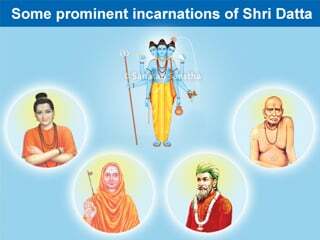 Shripad Shrivallabh was the first incarnation of Shri Datta. 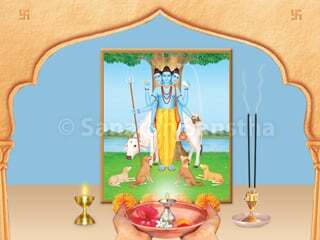 He began worship of Datta in Maharashtra in the 15th century. Shri Nrusinha Sarasvati was His second incarnation. 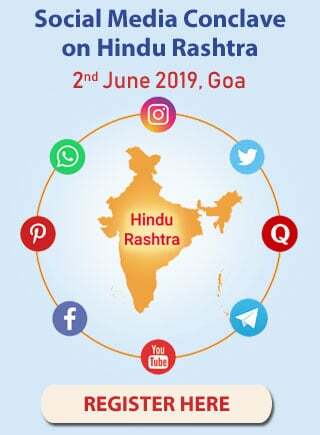 The Shri Gurucharitra gives information on both these incarnations. Shripada Shri Vallabha Swami Maharaj : He was born on Bhadrapada Shuddha Chavathi (Ganesh Chaturthi) to the Brahmin Couple Apalaraja and Sumati at Sri Kshetra Peethapuram (now in East Godavari District of Andhra Pradesh). After his Upanayana at the age of 7yrs he stared Teachings Vedas to the Residents. At the age of 17yrs he started on a Pilgrimage to Kashi, Badri and Gokarna, where he stayed for a period of 3yrs. He then stayed at Sri Giri for 4 months and after visiting Nivrutti Sangam he finally settled down at Kurwapur. 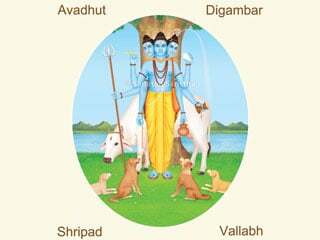 On the Day of Ashwina Vadya Dwadashi he disappeared in the Krishna River and concluded his Avatara. Sri Narasimha Saraswati Swami Maharaj : He was born on Poushya Shuddha Dwitiya to the Brahmin Couple Madhava and Amba Bhavani at Sri Kshetra Karanja (Lad Karanja in Washim District of Maharashtra). The Child didn’t utter a word except “Om” till his Upanayana was performed at the age of 7yrs, when he suddenly started reciting the Holy Vedas. As assured by Sri Narahari 2 sons were born to his mother within a year and then he started on a Pilgrimage to Kashi and Badri. He accepted Sanyasa from Sri Krishna Saraswati at Kashi. 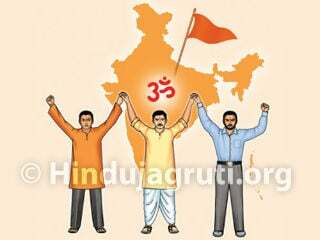 He then travelled the length and breadth of the Country making various Kshetras more holy with the Touch of his Feet. After Staying at Narsobwadi for 12 years he finally came to Sri Kshetra Ganagapur. Shri Guru stayed at Ganagapur for a Period of 24 Years after which he Proceeded to Kardali Van at Srisailam where he Concluded his Avatara. 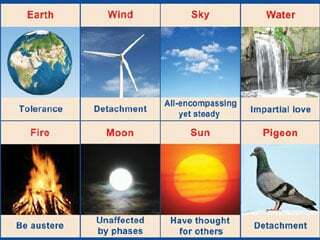 Ninth month in the Hindu lunar almanac.